Whether you are planning a large corporate getaway or convention, an intimate group meeting, or a beautiful, effortless wedding, you will find extraordinary meeting and reception space as well as world-class service at Lake Las Vegas Resort. Set against a backdrop of magnificent mountain vistas and a sparkling private 320-acre lake, with championship golf courses, fabulous dining, exciting casinos, and boutique shopping, Lake Las Vegas Resort offers more options and quality amenities for your next event all in a breathtaking setting. Experience an extraordinary Lake Las Vegas destination wedding! The Resort offers elegant and unique settings that are a world apart from typical Las Vegas hotels and wedding chapels. In an inspired Lake Las Vegas wedding resort setting, MonteLago Village brings out the romance in us all. Customized receptions, beautiful wedding cakes, live musicians, limousine transportation, helicopter and yacht tours/departures, and professional photography and videography all combine to create the ultimate Lake Las Vegas destination wedding experience. To request more information on planning your dream wedding at Lake Las Vegas, call (702) 568-5749 or email Events@OwnLakeLasVegas.com. 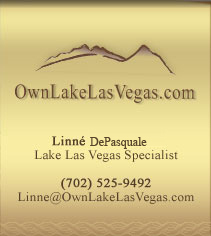 Lake Las Vegas Resort specializes in group gatherings and conferences for 10 to over 200 attendees. Corporate, association, and government groups find the intimate nature of this lakeside oasis conducive to insightful and meaningful meeting agendas that consistently achieve designated objectives and leave attendees energized and excited. Whether a teambuilding event, sales meeting, board meeting, general session, executive retreat, or business conference in Las Vegas, Lake Las Vegas Resort wins companies over with its beauty, value, and exclusive off-site venue. There are also beautiful outdoor spaces available in and around gardens, fountains, lakeside, and gazebo settings. Be sure to let us know if you prefer an outdoor event atmosphere for your next social or corporate event. All Lake Las Vegas meeting space features high-speed or wireless Internet, as well as full audio/visual and teleconferencing capabilities. Whether you need a small intimate meeting venue or a large general session, Lake Las Vegas is the perfect place for your next planned event. To request more information on planning your next group event at Lake Las Vegas, call (702) 568-5749 or email Events@OwnLakeLasVegas.com. In addition to MonteLago Village space, each of our luxury resorts host meeting & social events in their own private facilities.